Off-year elections are not supposed to be this exciting. The polls have been closed in Virginia for almost 12 hours and we still aren’t 100% sure which party is in control of the Virginia Senate. Election night was a tense and dramatic affair with both parties claiming victory. Henrico County Commonwealth’s Attorney- The win by upstart Shannon Taylor was improbable. She was immensely outspent, got as late a start as any candidate on the ballot could have and was running against a historically dominant Republican machine. It is a victory that will resonate beyond Central Virginia to the rest of the state and should even get a small amount of national attention because it was a blow to House Majority Leader Eric Cantor‘s power base in his home district. Republicans will argue that Taylor benefited greatly by Matt Geary‘s refusal to exit the race and the results are an anomaly that won’t tell us anything about 2012. That is true, but Taylor’s victory cannot be understated given that she toppled Del. Bill Janis, a man who gave up a very powerful position in the House of Delegates to run for CA. Held off Senate losses- Conventional wisdom was that democrats were headed to a very difficult night. Worst case scenarios had them losing 10 seats or more in the House of Delegates and 4 seats and control of the Virginia Senate. It looks like the outcome will not be that bad, and at the very least the republican agenda will be forced to get democratic support to pass through the committee process. They hold more seats in the General Assembly- Regardless of how you read the numbers there is one inescapable fact from the 2011 results. The GOP now holds more seats in the House and the Senate than they did before election day. While Governor Bob McDonnell has not been handed a clear majority in the Senate to push through his agenda, he has at least one additional vote that he didn’t before. That will make it much easier for him to pass legislation that will resonate beyond his time in office. Powerful, vocal democratic leaders lose- If the results all hold democrats could lose two of their most influential voices in the General Assembly. Most notably, Del. Ward Armstrong the one time leader of the democratic caucus in the House of Delegates and a would be statewide candidate. Armstrong was re-redistricted into a match-up with incumbent Charles Poindexter in a GOP heavy district. He ran a campaign as far away from the democratic base as he could, but it was not enough. Unless he still has visions of a statewide run, his political career could be over. In the race that is still in doubt, Sen. Edd Houck a longtime democratic stalwart and foil to republican governors could be gone. Houck is the third most powerful member of the democratic senate and a strong voice on the joint money committees. He understands the nitty-gritty of the state budget and his experience would be a huge loss for democrats when it comes to budget time. Could Armstrong’s ad jeopardize his leadership position? Armstrong has not returned our inquiries about whether or not he supports the president’ re-election, but it is clear that his efforts to retain his seat could make life a lot different for him come January. Armstrong, already one of the most conservative democrats in the House, will face a fickle House minority that may look to replace him with a member that more accurately represents the voice of the left in Virginia. Englin has been rumored to be considering a run for house leadership, a position that could propel him to future run statewide, and make him a powerful liberal voice. A voice that could get a great deal of attention, especially if Virginia gives control of the Senate to republicans. Englin is not alone in his criticism of Armstrong. Lowell Feld of the influential Blue Virginia blog wrote Friday that Armstrong should not expect any help from the blog in the future. But Armstong, who hasn’t responded for comment on this story, still has his supporters including in Northern Virginia. Del. Bob Brink told me that he wasn’t ready to talk about organizational matters for the upcoming session, but had high praise for his democratic leader. Armstrong won’t be able to escape the specter of Obama anytime soon. The president’s bus tour scheduled for next week is expected to roll through the Southside. Virginia republicans are already asking if one of the leading democrats in Virginia will be there to greet him. Very few people in Virginia will get the chance to cast a ballot on primary day Tuesday, but the ones that do will be taking part in a couple of very competitive races that will have a major impact on the fall elections. RICHMOND (WWBT)- Tuesday is primary day in Virginia, and in many cases tomorrow’s races may be a tougher test for the candidates than in the fall election. A few heavily contested races in Central Virginia could ultimately decide who is headed to the State Capitol in January. Take for instances the vast 22nd Senate District, which is newly drawn and encompasses parts of 8 counties and 1 city, including nearby Goochland and Louisa. It is filled with republican voters. As a result 5 different GOP candidates have jumped into the primary race, hoping a win tomorrow will get them a direct ticket to Richmond. The winner will face democrat Bert Dotson, but would be considered the favorite in the general election. 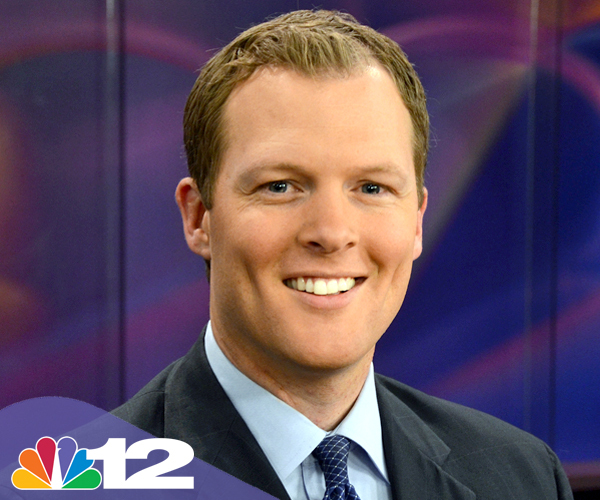 …you can read and see the rest of the story on NBC12.com. You can also see if you are registered to vote and if there is a race in your district by clicking here. Governor Bob McDonnell has announced plans for a special election to fill a House of Delegates seat in Chesterfield . The 27th district seat was left vacant by the appointment of Sam Nixon as the head of the Virginia Information Technology Agency. The election will be held Tuesday, June 15th. Candidates interested in running for the spot, must file their intentions by Friday May 14th at 5pm. In addition to the race in 26th district, voters will also choose a new representative from the 27th district on the same day. That seat came open when McDonnell appointed Del. Matt Lohr as the head of the Commissioner for the Virginia Department of Agriculture and Consumer Services. The full release from McDonnell’s office can be found after the jump. The race for the House of Delegates seat in the 73rd district, which encompasses parts of the City of Richmond and Henrico has become emblematic of the larger war being fought over control of the chamber. Tom Shields is a new face, carrying a democratic moniker of change and fresh leadership that he is hoping still resonates in the wake of Barack Obama‘s powerful win. Shields is getting quite a bit of support from state Democratic party leaders and if successful, would represent a major pickup for the left. Incumbent, John O’Bannon, a republican, refuses to accept that his 30 years in the community can be swept away with just a little bit of effort in one election cycle. He reminded me last night that he beat a field of 6 candidates to capture the seat originally and he is more than capable of beating back this opponent as well. I spoke briefly with both candidates prior to their debate last night at the University of Richmond, but had to leave before the debate really got going. Here is an excerpt of the report filed by the UR college paper the Collegian on the debate followed by a link to their entire story. I hope to post my complete uncut interviews with both candidates at a later date. The Virginia House of Delegates election made a stop at the University of Richmond earlier tonight during a 73rd district debate in the Alice Haynes Room. Republican incumbent Del. John M. O’Bannon, who has held the 73rd district seat in the House of Delegates for the past eight years, joined his opponent, University of Richmond professor Tom Shields, during a 90-minute debate. About 150 students, faculty and community members attended. The candidates fielded questions from moderator Dan Palazzolo, a University of Richmond political science professor, about health care, transportation, education and the economy. Eight questions were written by Palazzolo before the debate and an additional eight were submitted by audience members. The candidates also both delivered opening and closing statements. Incumbent Del. John O’Bannon (R) will face off against his challenger Tom Shields (D) in a debate tonight (Thursday) at the University of Richmond. Both candidates have deep connections to the West End campus. Shields is currently a professor at the institution and Del. O’Bannon is an alum. The college is also in the heart of the district and its interest are front and center for any person representing that area. Shields is part of a crop of new democratic candidates hoping to knock off long time republicans with the goal of shrinking or even perhaps swinging control of the House of Delegates. O’Bannon, a physician, is not taking Shields for granted in any way. He has a full-time campaign staff that keep the press regularly updated on his activity and the candidate himself has been pressing the flesh like a freshman on his first re-election bid. It is also worth noting that our political analyst and my good friend Dr. Dan Palazzolo will be moderating the debate. I hope to get over there for some of the debate and hope to have an update later tonight. He has already spent many hours cris-crossing the 73rd district of Virginia, but today University of Richmond Professor Tom Shields officially kicked off his challenge to Republican incumbent John O’Bannon. Shields is part of a group of serious challengers to Republican House members across the state, as the Democrats attempt to take control of the lower house of the General Assembly. It’s a position they have not been in since reconstruction. While Shields has attempted to run a relatively upbeat campaign, he has not been afraid to go on the attack of his opponent. Shields has characterized O’Bannon, a neurologist from Henrico, as “out of touch”. He has also taken advantage of a coordinated attack, hatched by the Democratic Party of Virginia, to slap incumbent Republicans that prevented the Commonwealth from taking advantage of stimulus funds connected to unemployment insurance. Shields struck a tone of independent leadership in his announcement before about 75 supporters at Tuckahoe Elementary School. He laid out a vision he claims goes above party labels to improve the economy, education and health care. Not surprisingly, his opponent didn’t agree. O’Bannon said the Shields roll-out was nothing more than a negative attack. O’Bannon’s district is as reliably red as any in Virginia. However, the district did vote for Barack Obama last fall, as well as supporting Tim Kaine as well. It looks as though both of these candidates will not go down without a fight. There is a good chance though, that the overall mood of the state could have more to do with who wins in Henrico than the personalities of either of these candidates. The Shields release and the O’Bannon response can be found after the jump..